With the Making Tax Deadline (MTD) approaching, it’s time to find a simple and easy to use app that’ll make it easier than ever to do your books. Rather than searching endlessly for the right solution, here’s what you need to know about the EasyBooks features and how it compares against both Zoho Books and Xero. When it comes to bookkeeping, there’s nothing simpler than EasyBooks. While it’s comprehensive, it’s still effortless to use and do your numbers. No jargon, no complexity - just one powerful app whether you’re on an iPhone or your tablet. EasyBooks has been specially designed to get rid of any hassle surrounding customer invoicing. Sending invoices in PDF format directly to your customers. Sending estimates from the same app so you win customers faster. Easily replicating previous invoices to set up repeat customer invoices. Creating quotations quickly and instantly turn them into new sales invoices. Customising invoice templates with letterheads, logos, payment terms and all of the fixed content labels. Emailing your customers, print or pass invoices to a third-party app. Statements show all sales, credits and payments. Bookkeeping couldn’t be any easier with EasyBooks. It only has the features you’ll actually need to use and there’s nothing confusing in there. Backup, restoring and setting a four-digit passcode to protect all of your data. Adding multiple businesses into EasyBooks and manage them from one system. Designed to help you avoid mistakes and give early warnings. Linking to different account types which are all synced from one app. EasyBooks handles over 150 currencies with exchange rates updated hourly. Setting transactions to repeat automatically which saves you a lot of time. 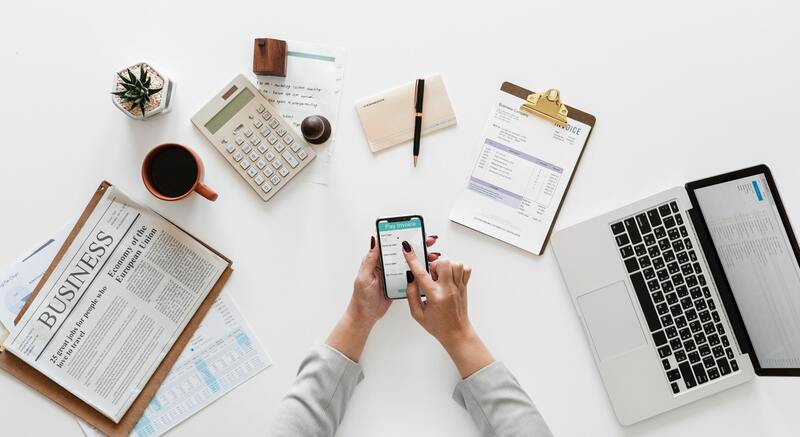 The EasyBooks bookkeeping app keeps digital bookkeeping as simple as possible with multiple finance reporting options to make your life much easier. Keeping tabs on your finances by running reports like Profit & Loss and Balance Sheet. Creating simple reports to get rid of any confusion. Monitoring sales and inventory from the EasyBooks app. Using customer reports to monitor and track your best customers. Complying with MTD and easily file your tax returns. Creating monthly breakdowns and financial reports. Having your reports emailed or printed in several formats. Tracking customer activity, ranging from the number of sales right through to overdue payments. What sets EasyBooks apart is that the app features plenty of useful online syncing options that make digital bookkeeping a breeze. Continuous data backups, so you can relax without the worry of information going missing. Using single and simple sign-in to retrieve data quickly. Deciding how much sharing access you want to give to a partner, bookkeeper or your accountant. Easy sharing, managing and syncing data for multiple businesses. All of your data is sent to your other devices to keep that all up-to-date. Xero is another bookkeeping app that’s easy to use. Even though it’s more in-depth than the previous option, it still has enough features in there to manage your numbers effortlessly. Streamlining the sales process with professional online quotes. Setting goals and tracking performance through the business dashboard to get the full up-to-date picture. Recording and updating your assets. Tracking gains and losses across multiple currencies. Simple small business payroll software. Ability to record, claim and manage expenses and receipts. Zoho Books is an online accounting software that manages your finances and gets you VAT ready. While it’s easy to use, there can be some confusion with so many integrations available. When invoices have been viewed. Viewing invoice history and keep track of changes. Creating multilingual and multi-currency invoices. Tracking payments made and received. Tracking unbilled hours and expenses. Scheduling reports and emailing them to yourself. Getting a business overview with your custom dashboard. Running detailed reports on your business’ health. All three apps we’ve touched on have unique tools and features that’ll make bookkeeping plain sailing moving forward. What makes EasyBooks so unique is the flexibility in prices with our Bronze, Silver and Gold packages being much cheaper than the competition. Struggling with getting to grips with MTD? This new initiative from the government might seem like a steep learning curve when it comes to using technology, but it still makes your life easier as well. So don’t worry. To avoid all the confusion surrounding MTD, download our free summary sheet by clicking the link below to make sure you’re in the know and 100 percent ready for the deadline.